Stepping onto her first stage at the tender age of 8 years to sing Under The Influence Of Love, a favourite by Buck Owens, the ensuring years have seen Sharnee singing and performing on many stages and singing songs from several genres. Discovering, in 2001, that she has a passion for country music has allowed Sharnee to find her feet and come into her own. Vocally, Sharnee has a good range with lovely deep registers and a special down-from-the-mountain timbre, which is ideally suited to country music. Being a regular performer at the Horseshoe Bend Roundup, held weekly at the Hexham Bowling, has allowed Sharnee to gain invaluable experience by performing to a live audience and working with many different musicians and artists. As a much sought after performer for many charitable events Sharnee has happily appeared at concerts raising money or awareness for varied causes such as the Carols for Kokoda, Westpac Helicopter Service and Chippin In For Opal FM. 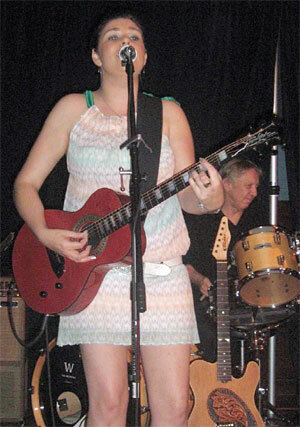 Although still young Sharnee has already been heralded as an artist on the rise. Some of the highlights of her career to date have been: 2006 Deadly Awards Most Promising New Talent finalist (to be announced Sept 06) 2006/2007 Telstra Road To Tamworth Finalist (grandfinal to be held January 07) 2006 released self-titled debut EP Camerata Music College Graduate (in both 2004 & 2005) the most prestigious music college for under 18s 2005 featured on ABC TV program Message Stick - reflecting on her role as an indigenous woman involved in country music. Performing at several Tomkins Showcases in Sydney & Tamworth - proudly owning a Tomkins guitar Over the years Sharnee has been proud to perform on the same stage as some of the Australias leading artists, including: Adam Harvey, Beccy Cole, Gina Jeffries, Felicity Urquhart, Matt Frost, The Baileys, Travis Collins, Natalie Howard, Stuart French, Steve Forde and The Flange, Miranda Murphy (2004 Pop Stars runner up), Phil Emmanuel, The Feral Swing Katz, Rob Wilson, Lisa White, Alby Pool and James Dean Hicks (US singer/songwriter). Sharnee has now found her heart and has set her main focus on songwriting as she has discovered a true love and feels for this highly individual talent. Sharnee recently had the honour of writing with acclaimed songwriters Glen Hannah, Tamara Stewart and Roger Corbett (from The Bushwackers). With a vibrant, fun-loving personality and her quick wit, Sharnee is very much a people person who can connect with audiences of all ages and from differing walks of life. This is evident in her relaxed and confident performances which leave audiences clamouring for more. With the release of her self-titled EP, the future is looking bright and exciting for Sharnee & with hopes for a career in the country music industry, both nationally and internationally. Sharnee Fenwick self-titled ep that delivers everything you would expect to hear from a country music artist on her way to the top. Sharnee co-wrote Feel The Blues with Glen (Hannah) and Leavin Tonight with Glen and Tamara Stewart both songs tugging on the heartstrings. 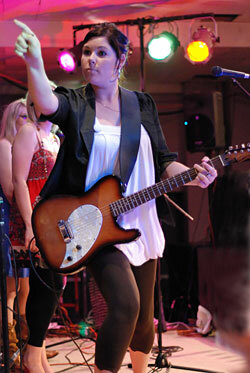 Cheryl Byrnes, Capnews Sharnee's first radio single How Bout Never is having good feedback from radio.